I was just flipping through my copy of the April/May issue of Crochet Today and came to page 13 where they’ve done a roundup of their favorite crochet umbrellas. 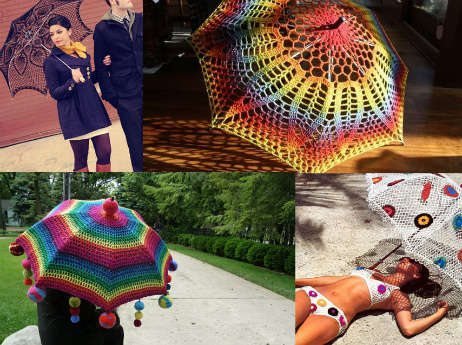 I recognized several of them from my own 2012 roundup of 15 crochet umbrellas (some pictured above), but a couple of them were new to me so I thought it was about time to check out the internet and see what I could find in this niche. 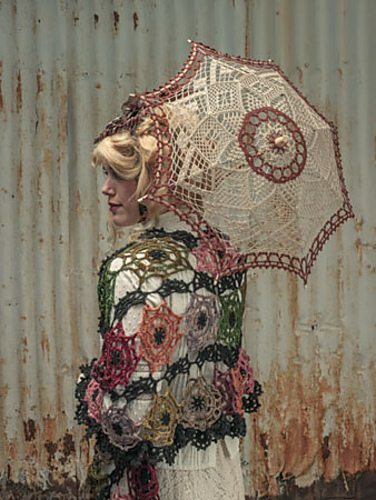 This crochet umbrella pattern by Kristin Omdahl is in the aforementioned Crochet Today issue and served as the inspiration for the roundup. 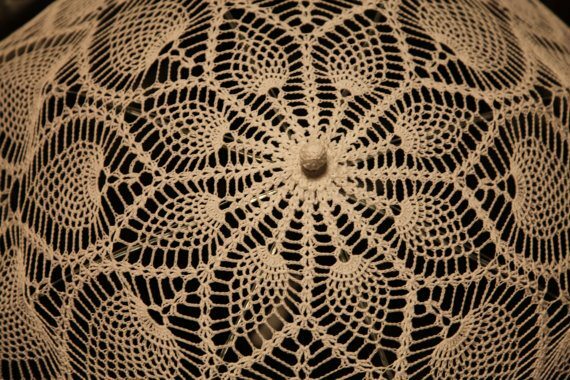 The Crochet Today roundup highlighed a lacy crochet umbrella from Crochet Knit Unlimited, so I checked that out and found also this peaceh version that I quite like. 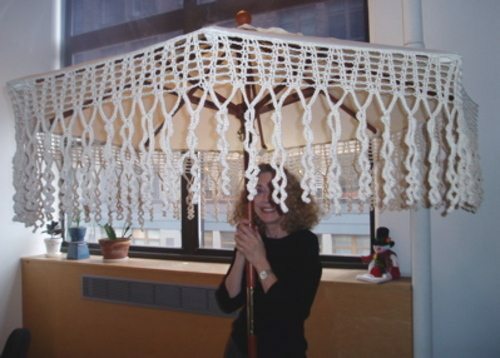 Crochetoville sells dozens of crochet umbrellas in various sizes on Etsy. 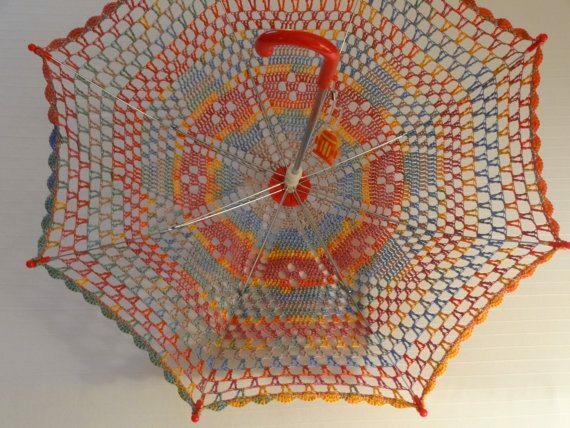 I like this diamond rainbow kids’ crochet umbrella. 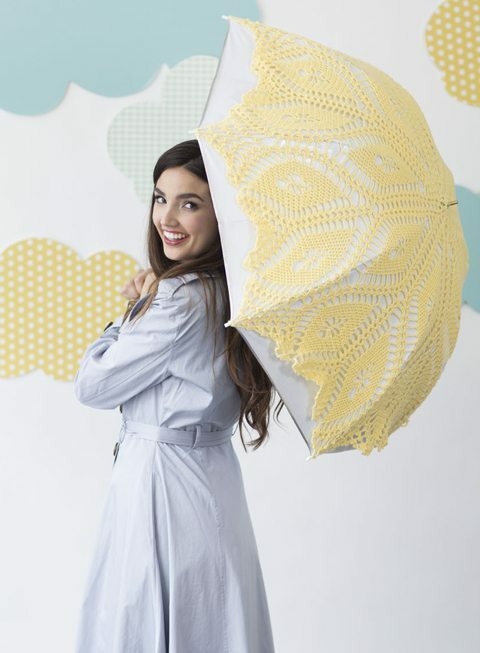 This crochet umbrella pattern by Kathryn White is in the Interweave Crochet Accessories 2013 Special Issue. 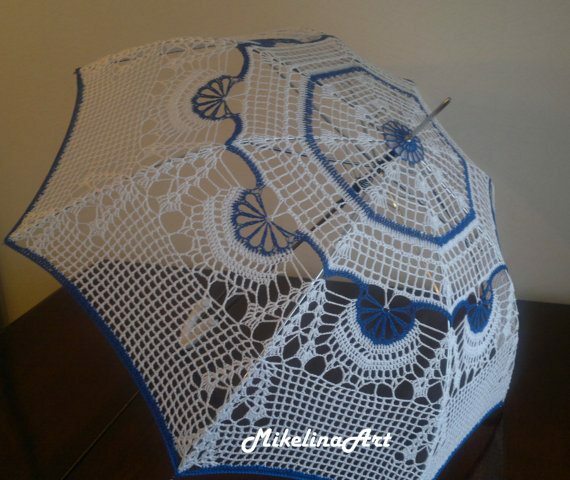 Mikelina Art sells several crochet umbrellas on Etsy. 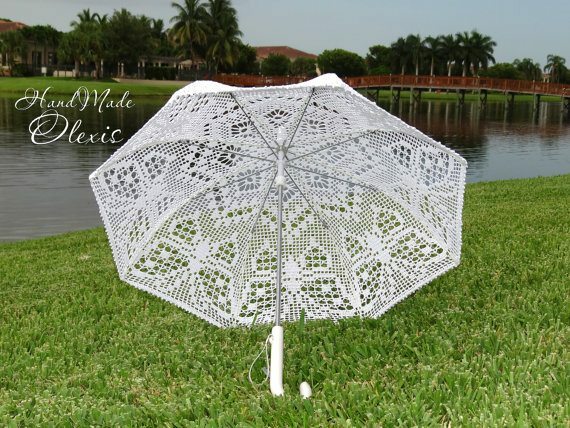 Etsy’s EmbroidMyBeads is selling this classic crochet pineapple umbrella. 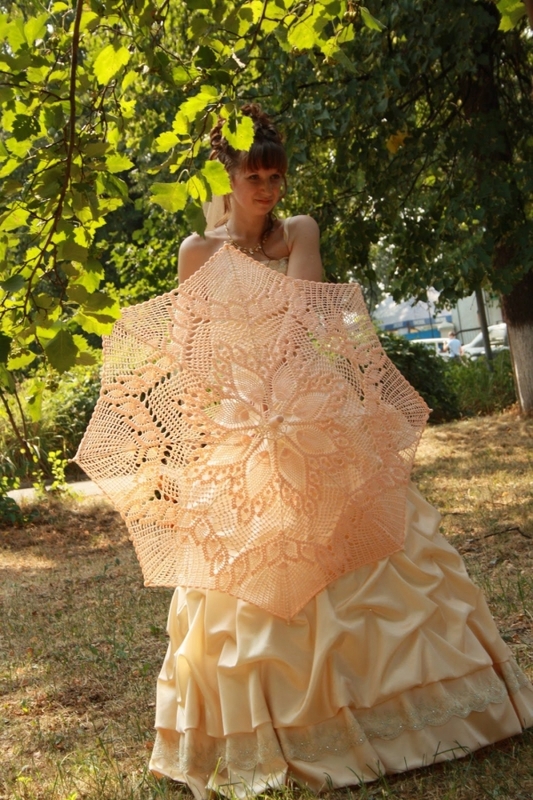 Flickr’s mjanski shares this autumn-themed crochet umbrella. 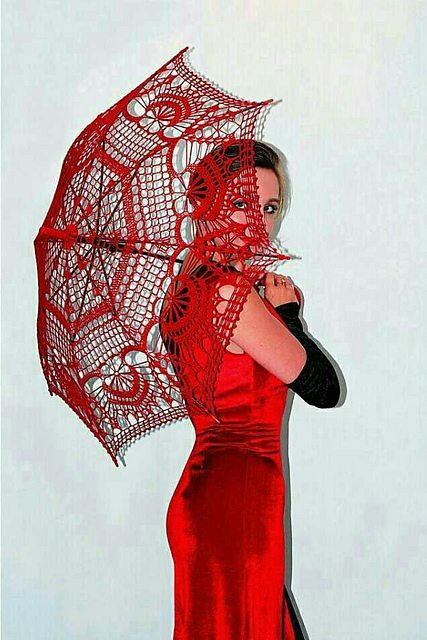 Etsy’s Olexis has several crochet umbrellas for sale including this one with a butterfly filet design. 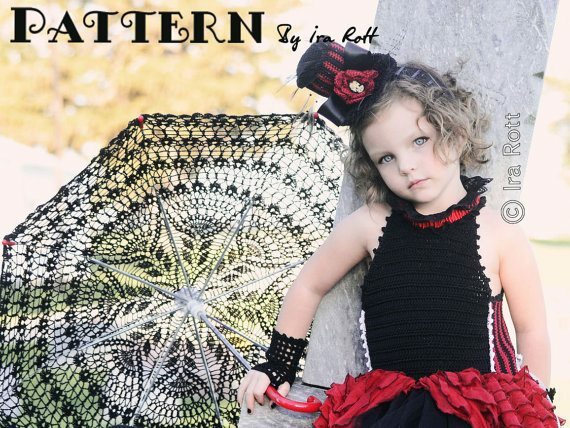 I love this steampunk crochet umbrella pattern sold on Etsy by IRAROTTpatterns. 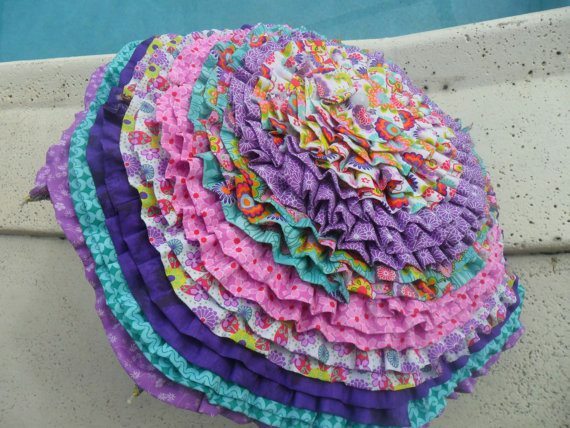 This beautiful umbrella from Ety’s idilkin doesn’t even look crocheted but it’s a rag rug crochet umbrella after all! 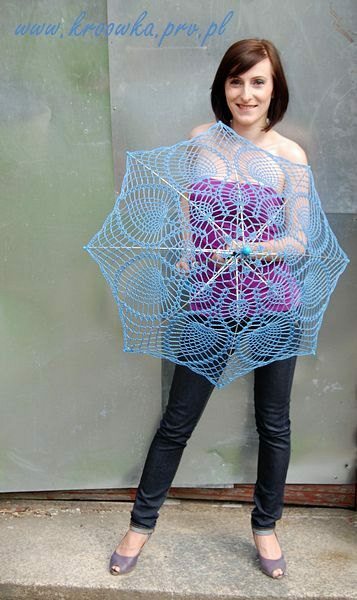 This blue crochet umbrella is one of several sold on Etsy by ModernCrochetClub. 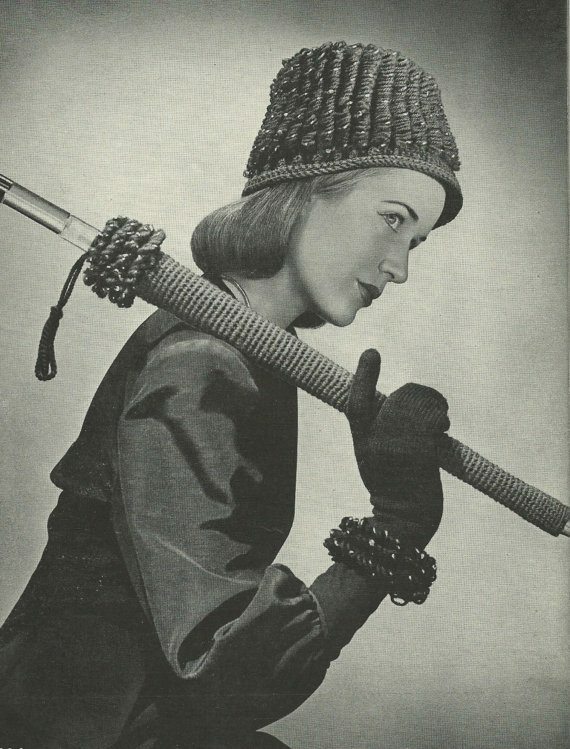 The lovely Dora Ohrenstein under crochet umbrella (photo via Ravelry). 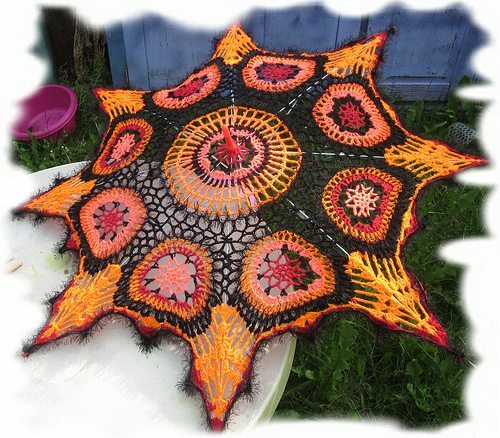 Nobody does crochet umbrellas better than rainbow crochet artist Babukatorium! 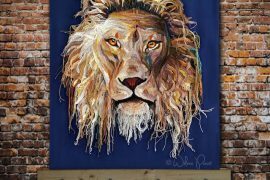 Visit her on Facebook and Pinterest. 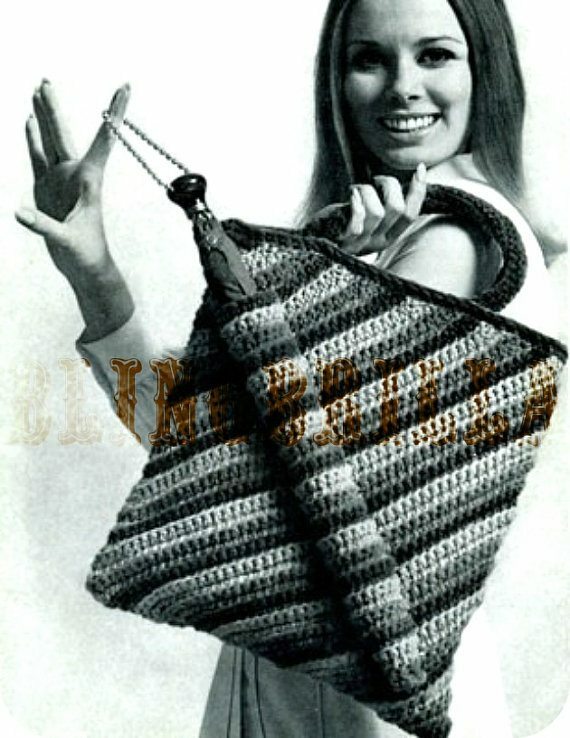 If you prefer to keep your regular umbrella, add some crochet with this vintage 1960s crochet umbrella tote pattern sold by BlingBrilla on Etsy. Or this one from the 1940s sold by FayWestRomance. So ooo-la-la! Thanks for sharing. 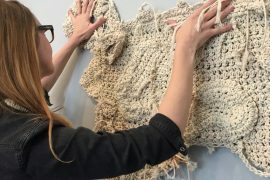 I Would like to be informd about getting the patterns.